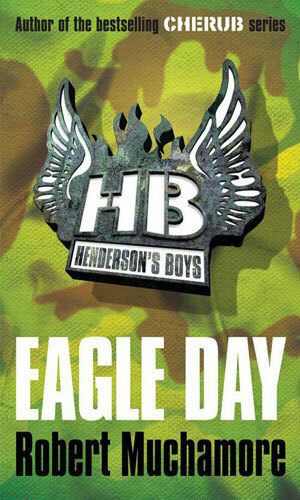 Henderson's Boys are a group of young operatives for British Military Intelligence. Organized and run by Charles Henderson as the Nazi invasion of France takes full force, it was not created as a planned effort but came about organically, largely forced upon him by circumstances. Henderson, though not intending at first to use young people in dangerous operations, finds several such people thrust upon him and since he was working behind enemy lines and they were with him, they got involved. As the series begins, Henderson is assigned to the British Embassy ostensibly as an attache but really a member of Section E, a branch of Naval Intelligence called the Espionage Research unit, specializing in finding out what the enemy had in the way of technology. He is described as a stocky man with a scruffy bears, good looking but a bit stand-offish and brusk, the latter being more a result of tensions than inclination. Some of the instruction that Henderson received during his training course a few years before was quite adamant about the use of civilians, especially children. "The intelligence manual said that children were physically weak, untrustworthy, unable to handle stress and liable to panic or scream." He believed it then and continued to do so until life showed him that it was not necessarily so. 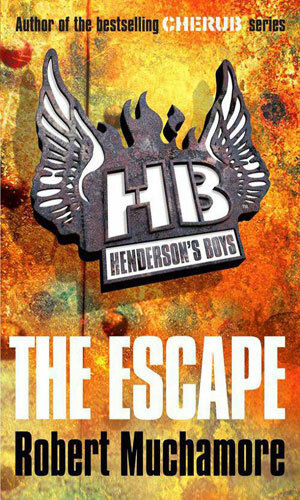 The first juvenile that Henderson has thrust into his hands is Marc Kilgore, a 12-year old boy abandoned at birth and living in an orphanage an hour's drive north of Paris. It was on a farm and growing up cleaning cow pens of their daily allotment of muck was how he lived his days until he had enough and ran away. His timing was poor as he arrived in the capital shortly after the Germans. He was hiding out in an apparently abandoned apartment when the Gestapo came looking for its former resident, Henderson. A bloody altercation later and the two became an impromptu team. Others would follow. Paul, age 11, and Rosie, age 13, Clarke, would be next, when their father, a single parent, is killed while trying to get them out of Paris. Slowly, the cadre would grow. Henderson would learn quickly that while some children might be as he was told, scared and prone to outbursts, others were not and could go where adults would be suspected and watched. They could listen and observe and, with training, report back. They could also learn to fight to survive when necessary and in war, it was often necessary. After the War, Henderson would formalize his experiences into a cohesive, planned organization which would become known as CHERUB. 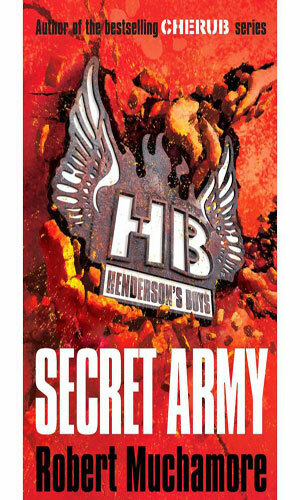 During the War, however, the kids that would work for him were known just as Henderson's Boys. In June 1940, German agents are hard at work in France trying to locate two British children. Charles Henderson is determined to find and protect them but he needs the help of a 12-year-old French orphan. The Battle of Britain is being fought and Hitler is preparing to cross the Channel to attack England. Charles Henderson takes his small group of children, joined by an American boy, to help British bombers attacking French ports. Returning to London after having helped stop German invasion plans, Charles Henderson formalizes his plans for an organization of teenagers to fight behind the lines. In the Summer of 41, the first real mission for Henderson's Boys takes place in France where the mission is to sabotage the U-boats ported there. 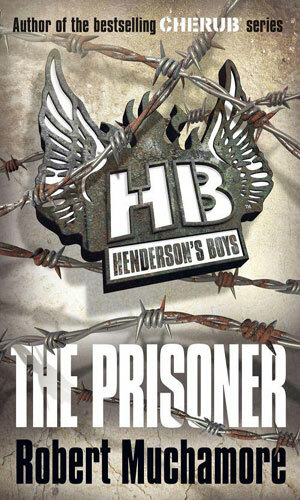 In 1942, one of Henderson's first Boys, Marc Kilgour, is a Nazi prisoner of war but he uses that problem to create even more trouble for the German army by working out an escape plan for other prisoners. In 1943, word comes that Hitler's scientists are devising a new weapon that could turn the tide in the war and help the Third Reich win. 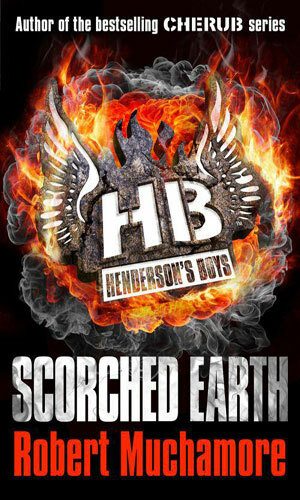 It is up to Henderson's Boys to sabotage the effort. 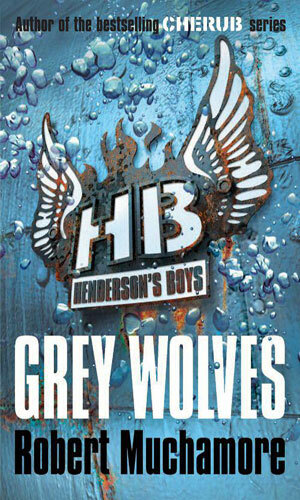 In 1944, as D-Day arrives and the Germans are out to stop this massive invasion in France, Henderson's Boys are determined to hinder the arrival of a tank battalion that could decimate the Allied forces. I was a huge fan of the CHERUB series so then the author decided to tell about the founder and how it call came to be, I was definitely in and I stayed in with considerable relish. These books are decidedly written for young adult readers but the skill that the author has is such that old-timers like myself can greatly enjoy them as well. Now, it could be that as I go through my third childhood, I am just susceptible but I think it is more likely that good storytelling is the cause. I think you will find that so as well. One thing I especially liked is how the concept of a group of child agents did not pop up all at once. 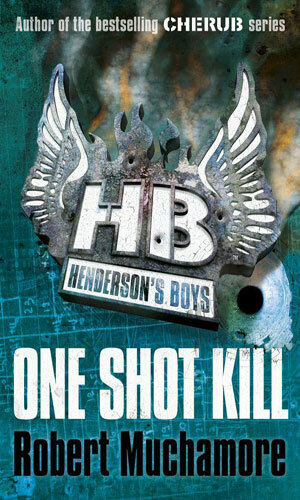 The author takes his time to show how it happened, one minor crisis after another, pushing the kids into Henderson's path and forcing him to improvise and eventually use them to keep them, and himself, alive. Along the way, you are given a great sense of being in France during the early occupation period with many people constantly scared and many trying desperately to pretend things are not so different. It feels so realistic at times.